Meeting the market need for affordable massage & facials. So how does Hand & Stone Massage & Facial Spa meet the growing demand for massage, spa and skin care services? According to presenter and VP Bob McQuillan, the strategy is based on a simple premise: provide a wide range of top quality spa services – therapeutic massage, facials & waxing – at affordable prices and unmatched convenience. Hand & Stone Massage & Facial Spa locations provide a varied menu of quality massage options, from Sports to Swedish to Pre-natal massage. The signature hot stone massage is Hand & Stone’s ultimate massage experience. In a hot stone massage, heated river stones are skillfully used with massage strokes to add a unique and effective enhancement to the overall massage experience. Facials and skin care are relatively new additions to the service offering. At Hand & Stone Massage & Facial Spas, certified aestheticians evaluate the condition of clients’ skin and customize treatments for optimal results. Clients can experience a dramatic difference in the quality and texture of their skin after just one visit, and can return for a variety of facials to accommodate needs ranging from basic skin maintenance to acne, rosacea, sun damage, scarring or aging. The pricing and scheduling system for the Hand & Stone Massage & Facial Spa is designed to provide convenience and value to the spa members and operational simplicity and recurring, predictable revenue flow for franchise owners. Once new clients experience Hand & Stone through an attractive, introductory offer, they are encouraged to join the membership program, allowing clients to enjoy a 35% savings on spa service packages each month. While scheduling in advance is recommended, members are welcome to visit on a walk-in basis to better accommodate their busy schedules and to increase their visit frequency. During the Discovery Day presentation, it was clear that there are many strategies and elements built into the system that simultaneously enhanced the health of Hand & Stone Spa members and the financial health of each individual franchise. In addition, the marketing team has done a great job developing the Hand & Stone gift card program and using industry exclusive promotions like Hand and Stone’s new Spa Party concept to drive new customer traffic. The market for massage & spa services is surprisingly huge… and growing. You may be surprised (as I was) that despite these tough economic times the demand is booming… and strong, continued growth is projected. No longer considered a luxury reserved for the affluent or the splurging vacationer, massage and related spa services have gone mainstream. Fueling industry growth is the use of massage for health and wellness reasons, in addition to enjoyment alone. According to industry sources, 85% of consumers believe massage is beneficial to health and wellness. Of the people who had at least one massage in the last five years, 31 percent report they did so for health conditions such as pain management, injury rehabilitation, migraine control, or overall wellness. According to a recent survey, 13% of adult Americans reported discussing massage therapy with their doctors or healthcare providers. Of those 13%, more than half (57%) said their doctor strongly recommended or encouraged it. More than half of massage therapists (69%) receive referrals from healthcare professionals. Almost one-fourth of adult Americans say they’ve used massage therapy at least one time for pain relief. According to statistics cited at Hand & Stone’s Discovery Day presentation, as long as your physician prescribes it, 74% of HMOs are now reimbursing their members for massages. The market for Hand & Stone Massage & Facial Spa also includes skin care, which has an even more compelling story. The skin care industry achieved $18.7 billion in revenue in 2007 and is projected to grow 40% by 2012. What is a “Discovery Day”? “Discovery Day” is a franchise industry term used to describe the presentation most franchisors conduct for groups of prospective franchise owners. Discovery Day presentations vary by franchisor. Some are very slick sales events with scripted presentations made to large groups. Others are less formal and more personal, consisting of smaller groups with lots of interaction, dialogue and time for questions. I was pleased to find that Hand & Stone Massage Discovery Day falls into the latter category, a experiencing presentations that were informative (rather than salesy) and personal, with a friendly and relaxed tone. In total, there were 3-4 groups in attendance, and Hand & Stone VP of Franchise Development Bob McQuillan laid out the agenda: an “icebreaker” & attendee self-introductions over coffee and bagels, short presentations and Q&A’s by the training, operations & marketing department heads, a working lunch with senior executives, and an on-site tour of a nearby Hand & Stone Massage & Facial Spa. After a brief wrap-up and final Q&A, attendees would have the opportunity to experience a hot stone massage firsthand. I came away from the Hand & Stone Massage & Facial Spa impressed on a number of levels. I was impressed with the Discovery Day experience itself. The people were friendly, open and helpful. It was not a dog and pony show or sales pitch, but an exchange of information from both sides to help determine whether the franchise was a good fit for the attendee’s business goals and skill sets. If you are seriously exploring business start-up options of this type, you will find the investment of time and travel expenses well worth it. I was impressed by the industry growth statistics, which I verified independently after the presentation. I was impressed by the simplicity and the operational efficiency of the concept itself, as well as the customer experience and reactions I witnessed. I was impressed by the care that was exhibited in not making any earnings claims or representations outside of the Financial Performance disclosure provided in the Franchise Disclosure Document (FDD). Most of all, I was impressed by the knowledgeable, experienced and dedicated team in place to support and guide franchisees from day one. Listening to the presentations of this highly experienced management team, I had to keep reminding myself that this is a young franchise chain with less than 50 units. Most of these professionals have experience supporting many times the number of franchise locations they currently serve, and I was impressed by the fact that John Marco and Todd Leff are willing to invest in establishing a solid foundation and infrastructure prior to embarking on the energetic growth that is almost a certainty in the next few years. Hand & Stone Massage & Facial Spa is poised and ready for growth. 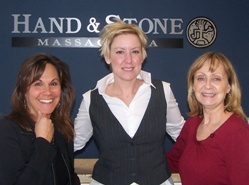 Hand & Stone Massage & Facial Spa appears to be poised and ready for growth. Does that mean that the Hand & Stone Massage & Facial Spa is the right franchise opportunity for your personal and business goals? Is it the perfect match for your particular market? Those are decisions that only you can make. All I can say is that the Hand & Stone franchise is definitely worth consideration… whether it’s the right opportunity is for you to discover. The best franchise concepts have what I call an elegant simplicity. They are easy to describe, and quickly understood. They appear to have relatively few moving parts. Each major element – like Hand & Stone’s simple menu of services, its membership-based approach, or the gift-card program – seems to equally and effortlessly benefit both the customer and the franchise owner/operator. And, like best-in-class athletes, the teams that design, fine-tune and operate these franchise concepts make it look deceptively easy. While the systems and strategies often look like they occurred naturally and effortlessly, they are almost always the result of a management team that is equally strong in right-brain creativity, innovation,passion, left-brain practicality, organization and bean-counting. As was abundantly clear in the Discovery Day executive meetings, Hand & Stone Franchise Corp. has plenty of both. Founder and COO John Marco [pictured, left] is the source of the vision and passion behind the Hand & Stone Massage concept. As a physical therapist with 25 years of experience, John perceived the increasing public acceptance of massage services – and along with it the need for an alternative that provided a convenience and value without sacrificing quality or ambiance. 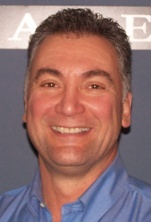 He opened the first Hand & Stone Massage concept in Toms River in 2005. From the start, he recognized the appeal of hot stone massage and hired a leading expert and trainer in hot stone technique, Colleen Bryan, to head up his training department. Having received numerous inquiries from entrepreneurs interested in opening their own Hand & Stone locations, John Marco began offering franchises in 2006. The business and franchise development side of Hand & Stone Franchise Corporation was recently supercharged by the addition of franchise industry veteran Todd Leff who joined the organization as both President, CEO and stockholder. 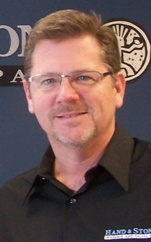 Todd Leff’s track record and 20 years of experience building successful franchise organizations is formidable. From 1990 through 2006, Leff grew Cottman Transmission from a small regional chain of 120 stores to national powerhouse with 400 stores. Most recently, Leff served as the president and CEO of AAMCO Transmissions and Cottman Transmission who had combined sales of almost $600 million in 2008. Leff supervised all operations and management of the 1,100 franchised stores operating under both brands and was instrumental in bringing Cottman and AAMCO under common ownership in 2006. In his lunchtime presentation, Todd Leff referred to himself as the “numbers guy” who’s obsessed with business metrics, keeping operating and investment costs low, and maximizing the franchisees’ bottom lines. One of his first initiatives was the addition of the facial services as a new potential revenue center, and rebranding the spas “Hand & Stone Massage & Facial Spa “to reflect the expanded product line. The line expansion has reportedly already made a significant positive impact on unit level financials. companies has his sights set on controlled but aggressive national growth and positioning of Hand & Stone Massage & Facial Spa as the industry leader. To that end, he has bolstered the existing management team with experienced industry executives, and together they are ready to take the Hand & Stone Massage & Facials Spa franchise system to the next level. Shortly after taking the reins as CEO, Leff announced the appointment of respected industry veteran, Bob McQuillan as Vice President of Franchise Development. 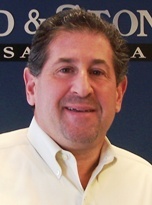 McQuillan most recently served as Vice President of Franchise Development at tanworld® where he was responsible for both franchise sales and operational improvements. From 2002 through 2007, McQuillan served as VP of Franchise Development for Hollywood Tans where he helped develop hundreds of franchise locations and was himself a franchise owner and operator. Industry and Hand & Stone veteran Colleen Bryan continues to head up the growing training department, and has recently been joined by other key management additions, including Debbi Worton & Tara Kelly. Hand & Stone Director of Operations Debbi Worton has an impressive professional background with such leading companies as Maybelline, Proctor & Gamble and the Lawn Doctor Franchise system. Debbi oversees implementation of the “Spa in a Box” development program that enables turnkey spa development typically in 4-6 months. In 2009, Hand & Stone announced the addition of Tara Kelly as Director of HSM Advertising, the in-house advertising agency exclusively serving Hand and Stone franchisees. Tara has 15 years of retail advertising and media buying experience, and previously headed up in-house ad agencies for both AAMCO and Cottman Transmission. Tara is highly experienced in developing content, media plans and promotions for franchise owners throughout the country.